Adulis restaurant in London’s Clapham Junction is the little sibling of the Adulis restaurant in Brixton that has been delighting lovers of Eritrean cuisine since 1996. Adulis is named after an ancient port on the Red Sea, once a great centre of trade, now an inspiring name for this ancient, varied cuisine. Adulis prides itself on offering a truly Eritrean experience, with organic herbs and spices, honey wine, as well as fish caught in the Red Sea. The menu will carry you far from familiar London. Stews are the thing here, ranging from mild to fiery, accompanied by freshly made injera bread. Be sure to end your meal with just-roasted coffee served in a jebena with frankincense and popcorn. Thoroughly enjoyed my second trip to Adulis. Delicious food and something a bit different. Have visited with my boyfriend and my parents and they’re all dying to go back. Absolute hit! Great food and amazing value. Loads of vegetarian options too - would come back again for sure! Fantastic food, great atmosphere, brilliant service, unique and interesting environment, superb!!! We were really looking forward to trying Adulis at Clapham Junction based on the reviews so we felt a bit let down by the service. It all started off well with drinks and food order. One of our guests really enjoyed the meal itself. For me, the dishes on the platter were nice but the strong lemon taste of the bread distracted me a bit from the meal. The food took a very long time to come out and we had to follow up on it. After the mains were cleared, we were considering ordering the coffee as recommended but no one came by to ask if we wanted anything else so we were left to sit there for a while and ended up just asking and paying for the bill. First time I've tried this type of food and I was very pleasantly surprised at how much flavor was packed into every dish, strongly recommend trying the shared platter with a selection. Shared platter was a great experience. More than enough food for 4. Service a bit slow but ambience was really nice! Fantastic food. I've been a couple times, the Vegetarian combo platter with injera never fails me! Such a good balanced spice, and good portion! 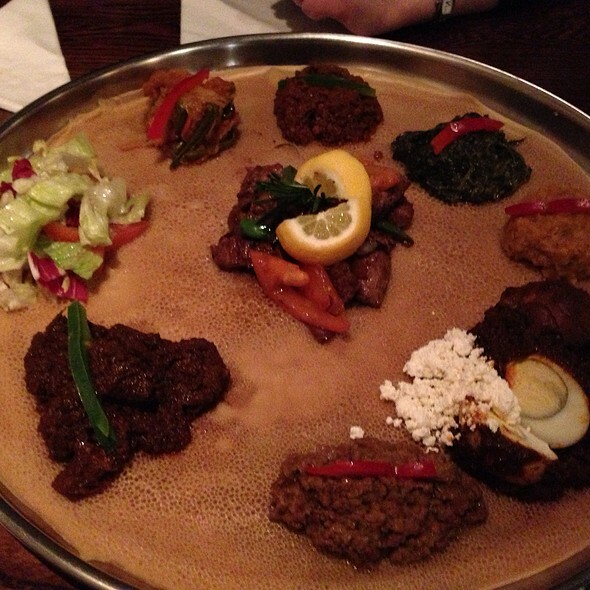 Delicious platter eaten with traditional bread; also enjoyed Eritrean coffee ceremony. Amazing Eritrean food. The place is lovely and the atmosphere is very nice. Firstly the spicy beef stew I ordered wasn't spicy at all and was surprisingly bland - I told the nice waitress who said next time tell the chef in advance that you want the spicy stew to be spicy! Delicious Eritrean dishes and friendly helpful staff. My friend and I wanted to try something different and Adulis was a very good choice. The waiter was friendly and advised us about what to eat. We decided on a mixed sharing platter for two and he allowed us to choose what was included. The food was delicious, as was the honey wine - I particularly liked the drier version. The only negative is having to eat with one's hands. Personally I wasn't too keen on the bread which is used to gather up the food and felt it obscured the wonderful flavours of the food itself. Obviously though it is important to eat as the locals would eat in order to get the full experience. As it was our first visit we ordered a recommended sharing platter with meat. It arrived on a giant tray with a traditional sour pancake as a base. The variety and flavours were very good and we couldn't finish all the food - it was plenty. We've had problems attracting servers attention when we wanted to order more drinks, and also when we wanted to get the bill. The decor is pleasant, but different to what I imagined Eritrean restaurant would be - dark stone, clean lines, a bit too modern. It was also quite bright. Saying all that I'd definitely come back. First and foremost, if you're a fan of Eritrean food then you will probably like this. The food is good quality. But the tastes of the cuisine just aren't for me. Sour dough that really is sour - not my thing. However, the venue is lovely and the waiter guy was very nice. Great food, recommend sharing platter and authentic cuisine with casual vibe. This is a great choice if you fancy trying something different. We had the mixed vegetarian platter for two. It was delicious and there was lots there! Waitresses very helpful although the menu's were not very descriptive so it was difficult to know what to expect. I would recommend it to others. We ordered meat platter and it contains different stew with lamb, beef and chicken. It was tasty and unusual that my friend was impressed. The service staff was friendly and helpful but bit slow - often I had to walk up to where they are to call. But I will go back there definitely. Adulis exceeded expectation! We were craving Eritrean food and boy, they did not disappoint. Got the mixed veg/meat platter and serving was quite generous. My friend is pescaterian and they made allowances for her. Overall, quite fab. Make sure you have the coffee ceremony as it is quite unique. Mid-week trial early evening, with this in mind I was going to say it was good vfm as we left feeling we could eat no more and the range of flavours was different, interesting, enjoyable. However, food is served with cold-crepes that were over-salty. They are needed to use as utensils-now looking back they added nothing and I think I would have enjoyed the flavours more without them. Overall an interesting experience but I will not repeat soon and would prefer to go next door for a variety of flavours. Lovely restaurant - we had the set menu with a mix of meat and vegetarian dishes which is full of a variety of different delicious bits and pieces. 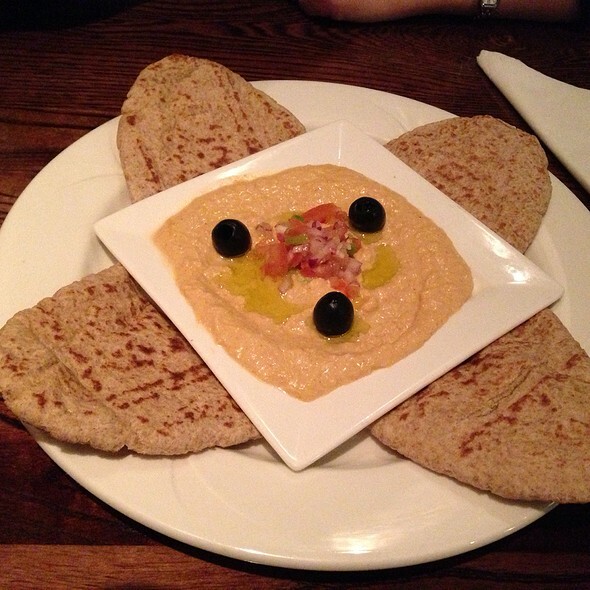 You eat without cutlery, using a type of flat bread instead, which is good fun. Amazing value, very reasonable prices. The traditional honey wine is great. I would like to start by saying that the food was excellent. We were thoroughly full by the time we left, and there was food remaining. The staff were helpful and friendly. We had a platter, a mixture of both meat and vegetable dishes, which was a great introduction for my friends to the food. I had been before, and will, I hope carry on visiting. The ambience in the restaurant was great. The lights were not too bright, creating a relaxed atmosphere. We really enjoyed our meal. I'd walked past Adulis a number of times and wanted to eat there. It was quite busy the night we went but we only had to ask where our starter was once before it arrived. We ordered a large platter and there was a lot of very tasty food (both vegetarian and meat dishes). Eating with your hands makes for a unique dining experience. I will definitely be recommending this to friends. Great meal out with friends. We ordered a couple sharing platters, which have lots of delicious fillings that you scoop with the rather unusual fluffy pancake-esque bread. All the fillings were very tasty. Good vegetarian options. Staff were polite, helpful, and friendly. The atmosphere and noise levels in the restaurant were perfect. We were pleasantly surprised that we did not have to shout across the table to hear each other - a rare treat on a Friday night out in London. Booked a group meal on a Friday night, great food, friendly staff and good service. I loved the food, especially the vegetarian selection. Lovely waiting staff too. Brilliant all around - I shall definitely be seen here again. Had a unique evening here - as well as the food, we really enjoyed the Eritrean Honey Wine and the coffee ceremony to conclude the evening with. This was not the first time and it won't be the last either. The restaurant had an incredibly charming touch about it. Food and service was brilliant and being vegetarian, I was blown away by the number of dishes - wide choice. Went for the Veg Platter for two in the end and it was a great choice! Adulis Honey Wine was fitting for the evening to finish with. I'm now a born-again regular cutomer. This restaurant has been closed for business for the last few months! No one bothered to update their information. Although Eritrean is not common, our waiter offered us no guidance so we plumped for the chef's special selection and a bottle of the honey wine. The wine was delicious. We waited about an hour for the food; in the meantime we asked to be moved to a warmer table as there is no lobby. The food did not look appetising when it came and the injera bread looked like rolled up brown flannels, and were cold and clammy. The ingredients were quite high quality but the little piles of each dish looked unappealing on another bit of injera bread. Puddings were from a bought in Italian menu of ice creams - perhaps they don't have puds in Eritrea but this always looks bad. The place is smart and not expensive but we probably won't return. We never ate Eritrean cuisine before but the restaurant looked great and the waitress explained to us how we were to eat and the traditional food and it was a wonderful experience. I'll definitely do it again! We really enjoyed our first visit to Adulis. 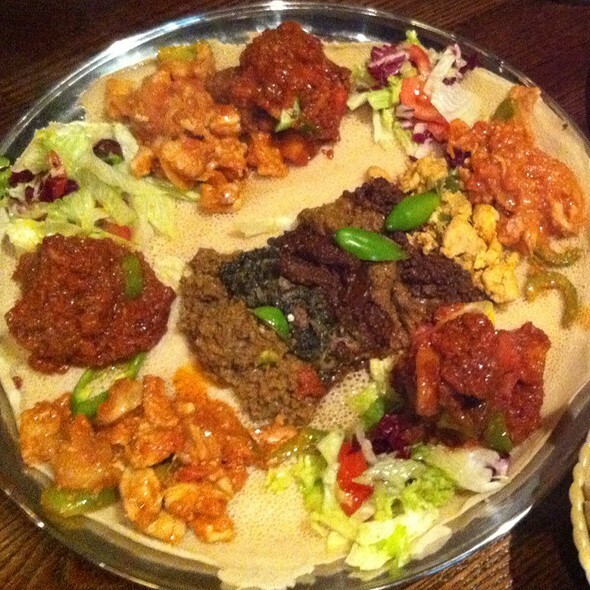 We were not familiar with Eritrean cuisine, but the serving staff explained everything clearly and we opted for the mixed meat and vegetable meal to share, which was extremely good value and gave us the opportunity to try a variety of dishes. We love using our fingers to eat, and we thought it was a helpful touch having a wash basin near the dining area. The food was delicious, and we very much enjoyed the dry honey wine, which was a perfect partner for the aromatically flavoured dishes. The only slight disappointment was the dessert menu, which was more Italian than Eritrean, but this was a tiny thing when compared to the overall experience. We'll definitely try to get back to Adulis! I met my friend here for dinner. The service was friendly and the waitress helpful. The food was good, having never tried Eritrean food we were curious. Glad we did it was a fun experience and the honey wine completed our food. If you're after something a bit different food wise book a table!